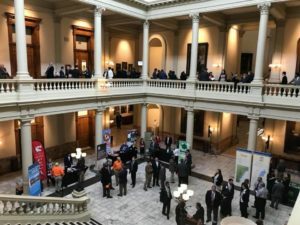 Protect your right to practice by joining the Georgia Chiropractic Association at Chiropractic Day at the Capitol, Thursday, February 14 from 9:00 a.m.-2:00 p.m. The day kicks off in room 133 of the Capitol building (206 State Capitol, Atlanta, GA 30033). Lunch will be provided. Both lunch and our morning program are FREE, but you MUST RSVP via this link by Monday, February 11 or by calling 770-723-1100. *All Life University students who attend will be provided an excused absence.